Normal life was affected in Kashmir on Sunday due to a valley-wide bandh called by trade bodies here against the alleged harassment and attacks on Kashmiris in Jammu and outside the state, officials said. The Kashmir bandh call was supported by major trade bodies like the Kashmir Economic Alliance and Kashmir Traders and Manufacturers Federation as well as transporters' associations. 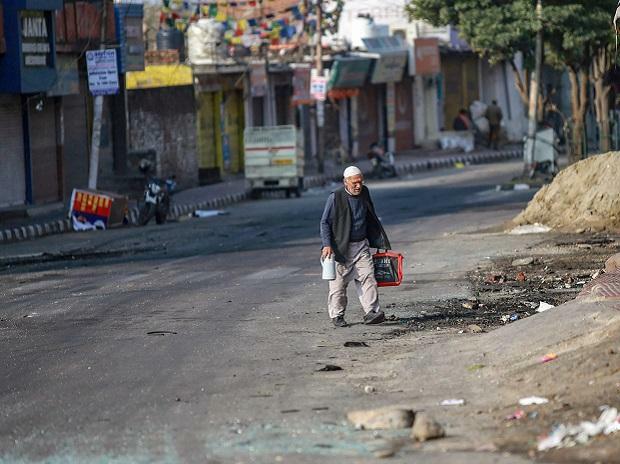 Shops, fuel stations and other business establishments were shut here in Srinagar, the summer capital of Jammu and Kashmir, the officials said. They said public transport was off the roads and cabs and auto-rickshaws also largely stayed away, they added. However, private cars were seen plying in many areas. The bandh also affected the weekly flea market as no vendor put up a stall on the TRC Chowk-Batamaloo axis through the city centre Lal Chowk, the officials said. They said similar reports of shutdown were received from other district headquarters of the valley. Various trade bodies on Saturday called for Kashmir bandh to protest against attacks on Kashmiris in Jammu and outside the state. A shutdown was observed in Lal Chowk city centre and adjoining areas here after 3 pm on Saturday as a mark of protest against the harassment and attacks. The traders also took out a march to condemn the attacks. They demanded the safety of Kashmiri traders and students outside the valley. They have threatened to cut off business ties with Jammu-based traders in case the attacks on Kashmiris in Jammu were not stopped immediately. Various employees unions also protested at Press Colony here on Saturday.